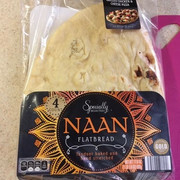 Thanks to Derek 717 for the introduction to Aldi's Naan. 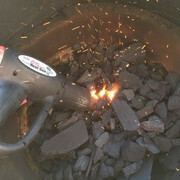 | Smoking Meat Forums - The Best Barbecue Discussion Forum On Earth! 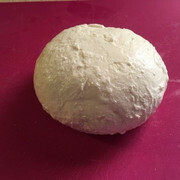 Thanks to Derek 717 for the introduction to Aldi's Naan. Discussion in 'Blowing Smoke Around the Smoker.' started by Holly2015, Mar 18, 2019. 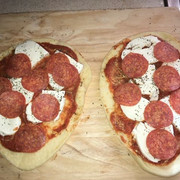 Since Irish food is as good as Italian beer for dinner in celebration of St Patrick's day...………………..Personal Naan pizza. 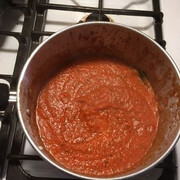 Homemade pizza sauce made fresh and ready to go. Serve with cold beer and you have one heck of a good St. Patrick's day dinner without having to subject your self to flavorless bangers and mash or shepherds pie. weev and indaswamp like this. 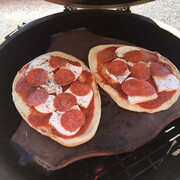 I will have to try the pizza naan now, along with about 400 others I have found on here.